Spring Break happens just once a year, so let’s make the 2016 edition a great one! TicketsatWork.com is featuring hot deals and special discounts for great Spring Break attractions and destinations coast to coast, plus something a little more tropical in Hawaii, the Bahamas, and Dominican Republic. Whether it’s a romantic getaway, family trip, or just a couple of friends setting out in search of new adventures, TicketsatWork.com is loaded with Spring Break Deals. From theme parks, famous zoos, and Broadway musicals, to sporting events, skiing, and exclusive vacation packages, TicketsatWork.com has you covered. There is no better way to celebrate Spring Break than with an extravagant Las Vegas show! And we have special savings on more than 20 amazing performances, from KÀ by Cirque du Soleil, and Blue Man Group, to Terry Fator, Rock of Ages, and Jersey Boys. There’s also big savings for travelers jetting over to Hawaii. Special offers on tours and outdoor activities on Maui, Oahu, and the Big Island. You can also peruse four separate attractions on our Dominican Republic offers page, featuring awesome savings on dolphin and sea lion encounters, and the Bravíssimo Experience – an evening of fun, entertainment, music and imagination. 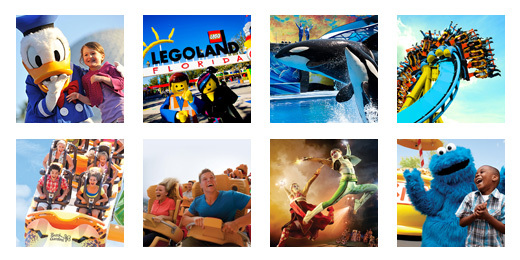 Book all of your Spring Break vacation fun and adventure with TicketsatWork.com.